Operating heavy- and medium-duty commercial truck businesses at seven locations in five states, McMahon Truck Centers has become known for its support solutions and selection of premium vehicles. McMahon represents Mack, Volvo and Hino brands, and its product offerings include premium truck bodies and attachments from Jerr-Dan, XL Specialized Trailers and OX Bodies. 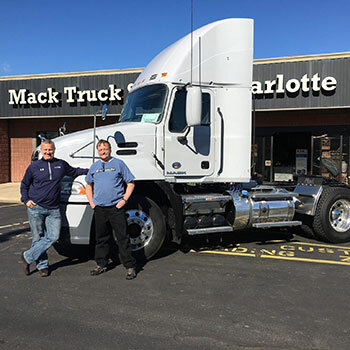 McMahon Truck Centers also manages McMahon Truck Leasing - a full-service leasing affiliate representing Mack Leasing Systems, Volvo Leasing Systems and NationaLease at all 7 of their location.